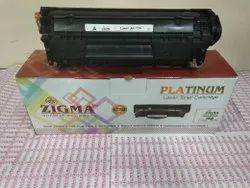 Offering you a complete choice of products which include bottom rollers, riso ks ink cartridge, konica minolta transfer belt and hp 12a toner cartridge (long life). 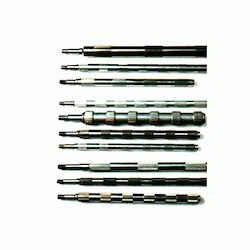 We offer Bottom Rollers that are manufacturing using thread rolling machines. These machines have opposite helix flutes for zero axial thrusts. The rollers are precision engineered using best quality alloy steel. Yam breakages are prevented by the exact circularity of bottom rollers and top rollers, which can be interchanged. Furthermore, lapping is reduced with the help of hard chrome plated rollers. Riso KS Ink Cartridge offeredcomes in 2 cartridge packaging of black color to match up with the working demands of Riso KS printers. 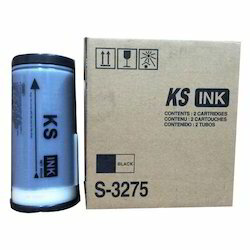 Further, the use of quality ink constitution provided in these cartridges also assure of delivering smooth, sharp and consistent print quality results as demanded by the customers. With provision of offering ink cartridge solutions for other printer models as well, we also ensure these are made available to customers at competitive prices. 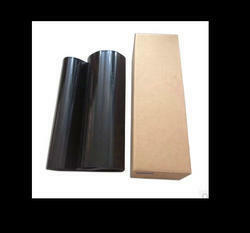 We are offering Konica Minolta Transfer Belt to our clients.